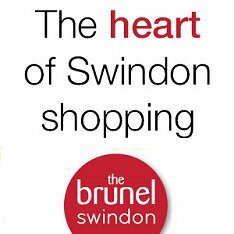 Front Page > Swindon Life > The Duchess & Doctor Who! The Duchess & Doctor Who! 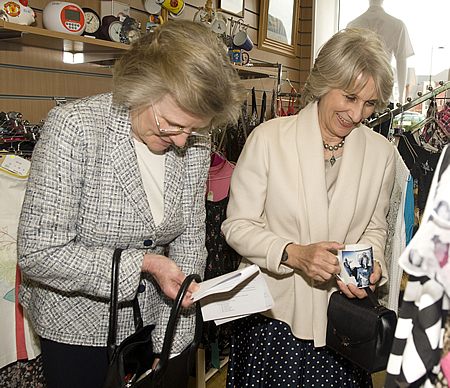 HRH The Duchess Of Gloucester picked up a memento of her visit to Swindon today - a Doctor Who mug! 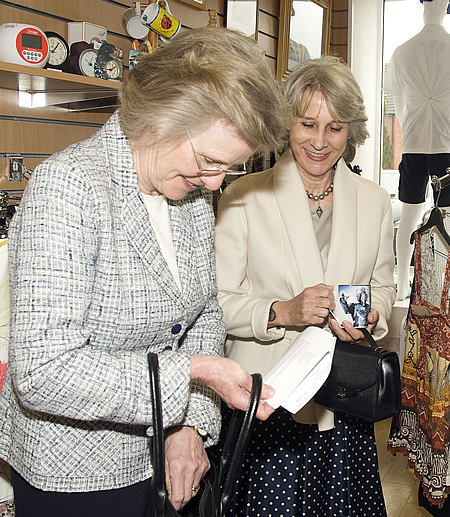 The Queen's cousin-in-law was at Uplands School in Tadpole Lane to open their new charity shop. And while taking a browse of what was on offer, The Duchess's eye was caught by a second-hand mug decorated with Cybermen, one of the BBC Timelord's most famous foes. After making a suitable donation, provided by her Lady In Waiting, Birgitte (as the Duchess is known) commented that her purchase wasn't, however, for her, it was "someone who will like it more than I do!". That may or may not have something to do with the inscription on the mug - "You will be upgraded or deleted!" Her Royal Highness continued her visit to Swindon with a stop-off to meet pupils and staff at nearby St. Francis CofE Primary School in Taw Hill.